Can you Suggest Crystals for Psychic Protection of Dogs? Can you suggest any crystals for the psychic protection for dogs? I work with people out of my home (Osteopathy, holistic care of the body, working with the life force and realignment), and I have a patient who comes over to specifically 'take advantage' of my dog's beautiful energy, because it makes her feel better. It's like her drug. I've openly talked to her about this, and she is not respecting my wishes. I would like to terminate the relationship, but she helps me financially right now, and I treat her two wonderful daughters, and it would be a shame to not be able to help them. While I think my pup is also resisting my wishes, I think she is somewhat being taken advantage of. This is just a basic idea of what is going on. With the patient, I've recommended grounding stones, Schumann resonance, and I try to put crystals on my pup, but she either resists, or it doesn't work as well. This started when I let this lady dog sit for me when I first got her (big mistake). She left her husband’s bed to sleep with her, and ever since then, she has hooked a cord onto my pup. When she is in the area on the way to see me, my pup gets lots of anxiety, and especially gets anxiety when she shows up, and the only way things get better is if my pup throws herself at this lady (to heal and ground her). I used to 'let it slide,' but after finding out that my pup has a tumor on her, I just want her to stop giving herself away, value herself, and get healthy! Any advice or crystals to try? Black Tourmaline, Smokey Quartz, Shungite and you could even try Labradorite which works more like a shield as opposed to the other black crystals mentioned that rather ground and/or transmute that negative energy. 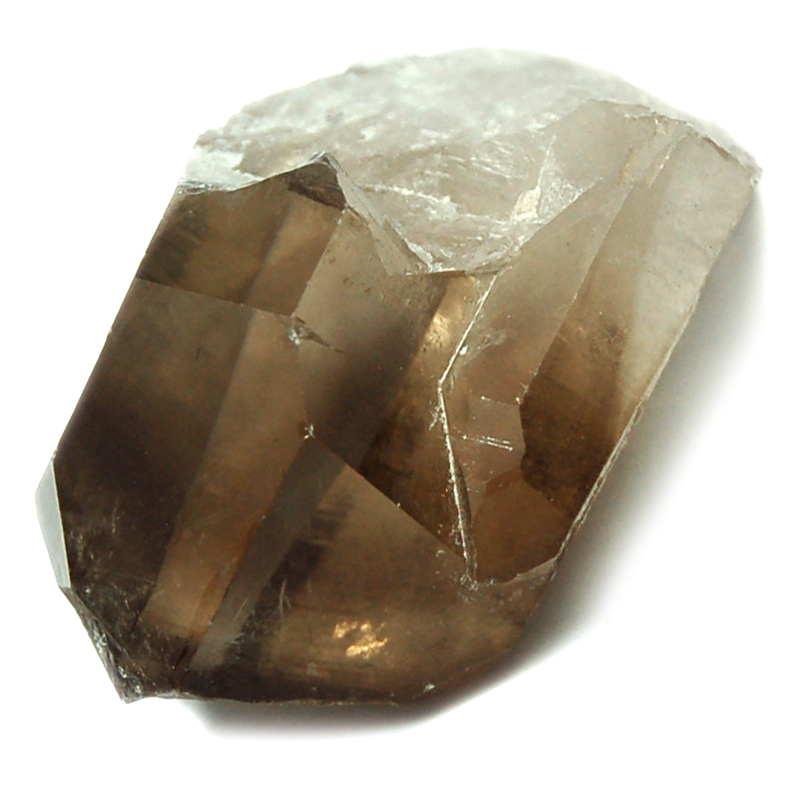 I've personally found that dogs don't really like these crystals all that much, especially Smokey Quartz; so if she isn't gravitating towards any of the crystals, don't force them on her. Animals don't need to be exposed to crystals for as long a period in order to benefit from the energy. They also know very quickly when something is for them and when it isn't, especially when it comes to crystals as well as people. While I do understand your concern and the fact that you always want the best for your fur baby, if she didn't like this lady, she would hide away from her and avoid her at all costs. For anxiety, you could try a small piece of tumbled Dalmatian Jasper or Lepidolite. Lepidolite works nicely to soothe anxiety and has a lovely calming effect. She may also be picking up your anxiety which makes her react even more strongly. Animals quickly pick up and mimic our emotions. If you take a look at two dogs fighting and someone is screaming and panicking around them, that affects them negatively; but the moment you approach calmly and with authority, you can help to change the situation. 1. Before you see the lady, sit down with your dog and surround the both of you with Divine and Shielding white light. See both of you in that white light bubble and see any sort of negativity coming towards the bubble or shield but bouncing away. Visualize that for the both of you. 2. Once this lady has left, you can do a clearing on both of you with Selenite. You can take a nice piece of Selenite, like a chunk or wand and sweep the air around you as well as your dog. You are sweeping the negative vibes out of your aura. Don't forget to hold the intention of cleansing and clearing your aura of any energy that isn't for your highest good. You can of course do this with incense, smudge sticks or even visualization, but don't forget to hold that intention. Blue Lace Agate comes to mind and it can be helpful with irritation as well as inflammation. It is also good to calm stress. Blue Calcite can also help with swellings. Nephrite Jade can help with healing. Don't forget to clear your crystals of energetic build up after purchase as well as on a regular basis. May you and your fur baby have a crystalicious day further! *Please note that crystals complement other forms of therapy and should not be used as a substitute for a visit to the vet.